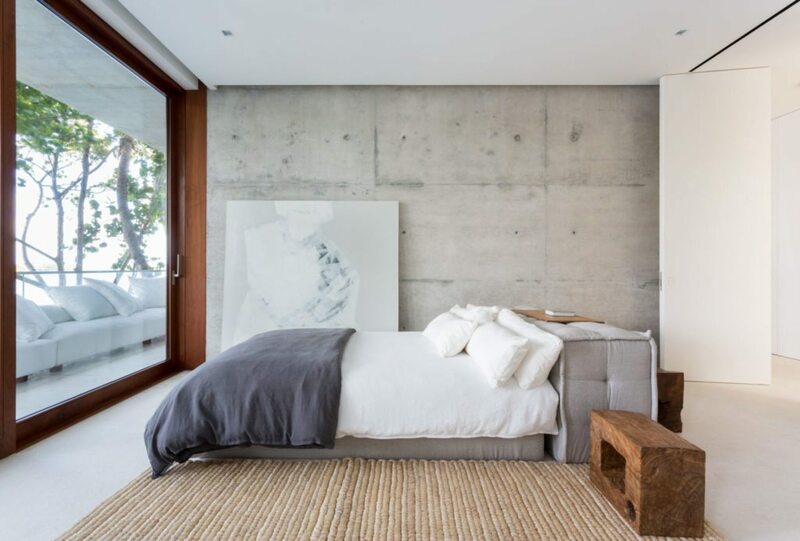 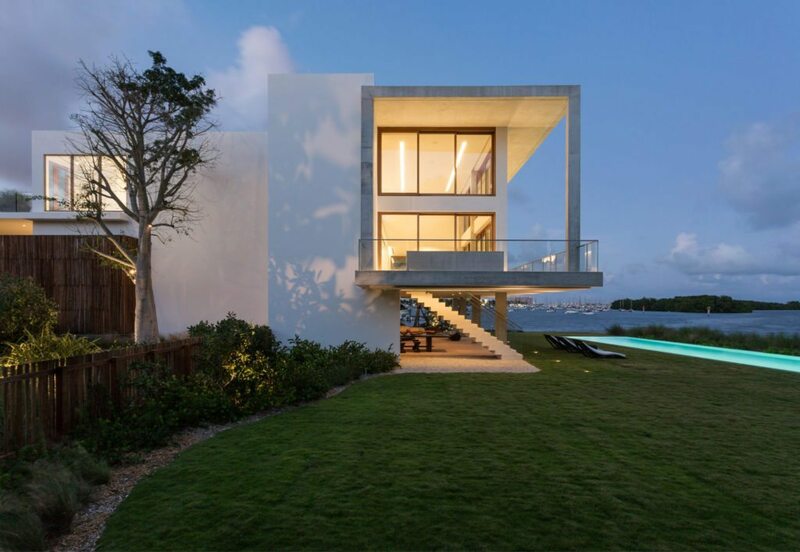 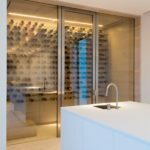 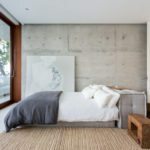 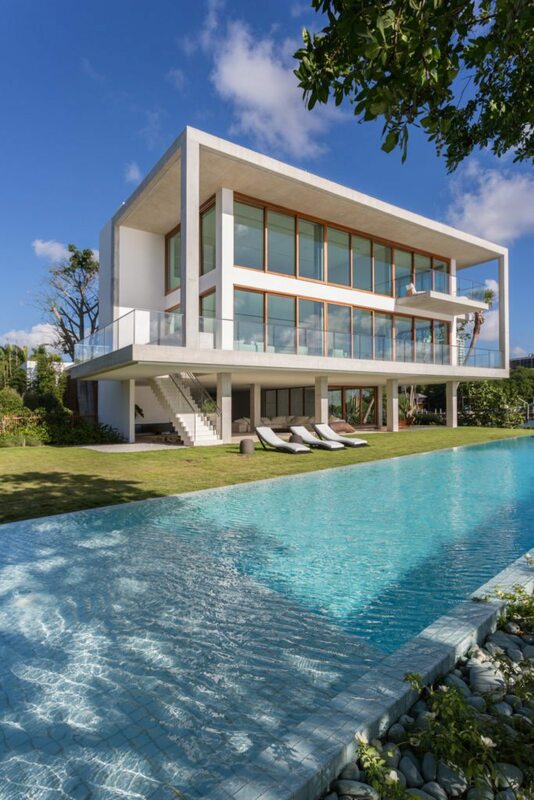 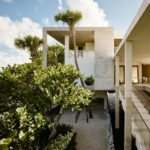 This home is the inaugural effort of filmmaker-turned-designer, Alejandro Landes, and comes with modern, minimalist details for an incredibly smooth transition from inside to outside. 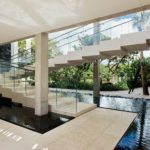 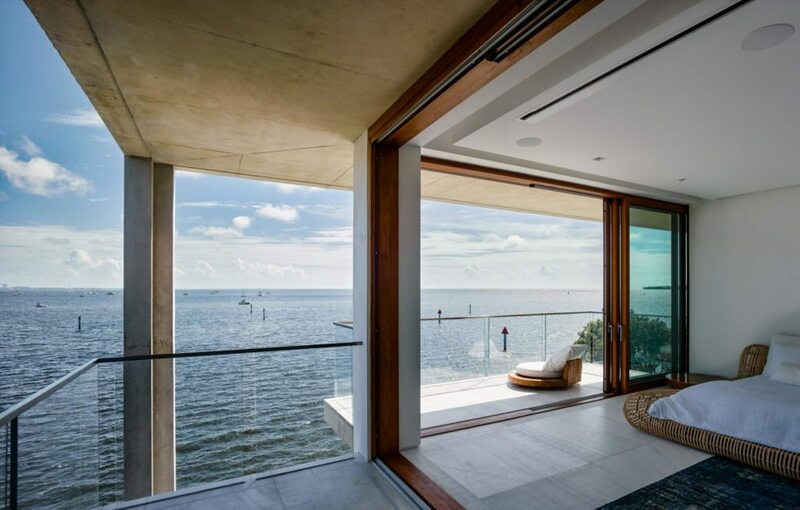 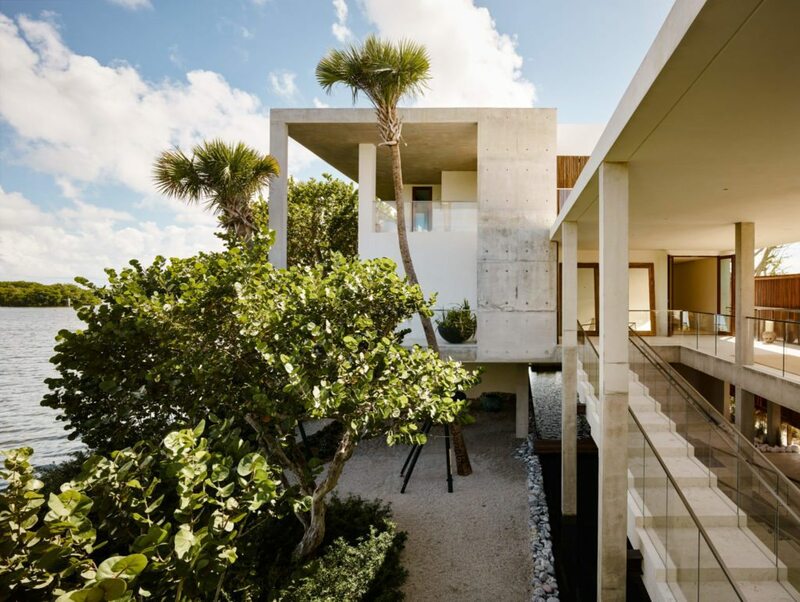 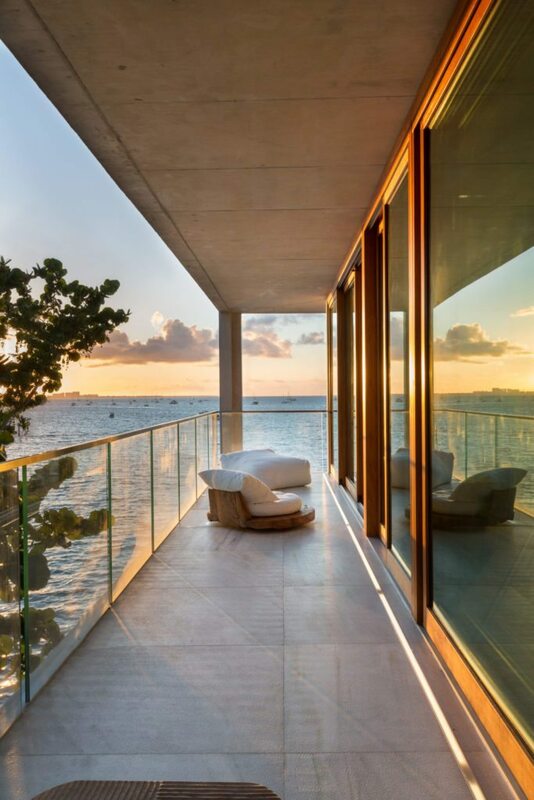 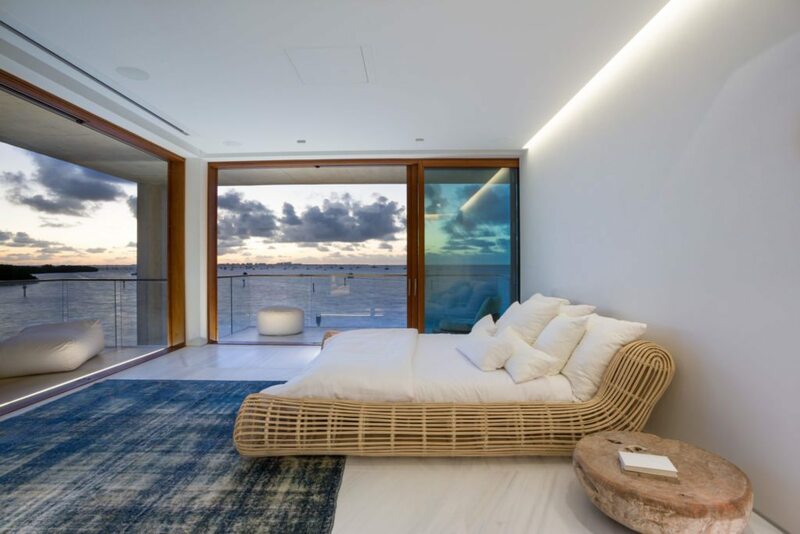 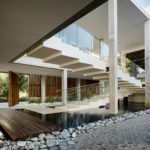 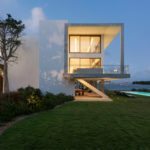 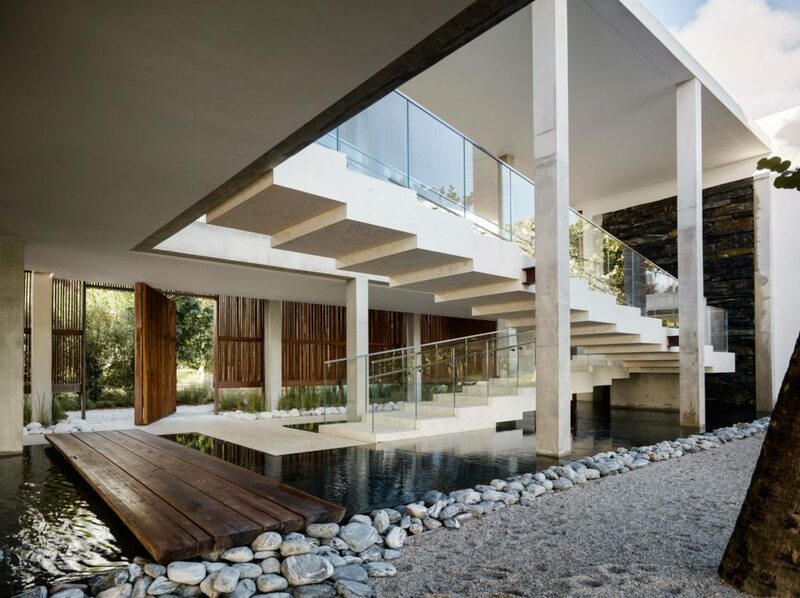 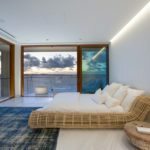 The interior, with cliff-like balconies and floating staircases, was designed by Landes’ mother and award-winning designer, Catalina Echavarria. 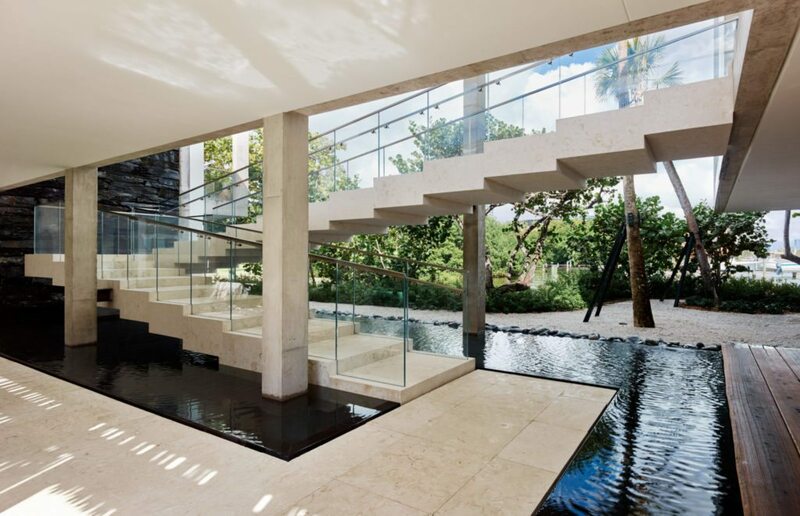 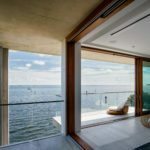 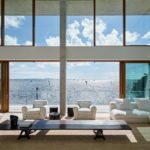 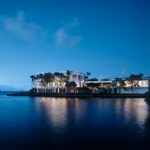 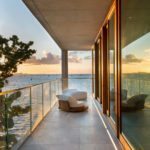 The house sits on an acre of land and features a 73-foot pool, jacuzzi, steam room, theatre room, climate-controlled wine room, eight-car gallery and protected boat dock. 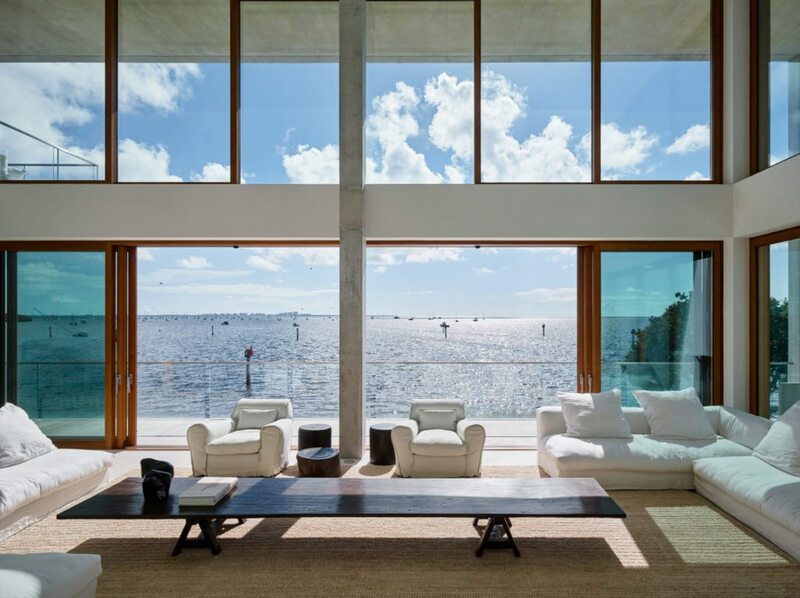 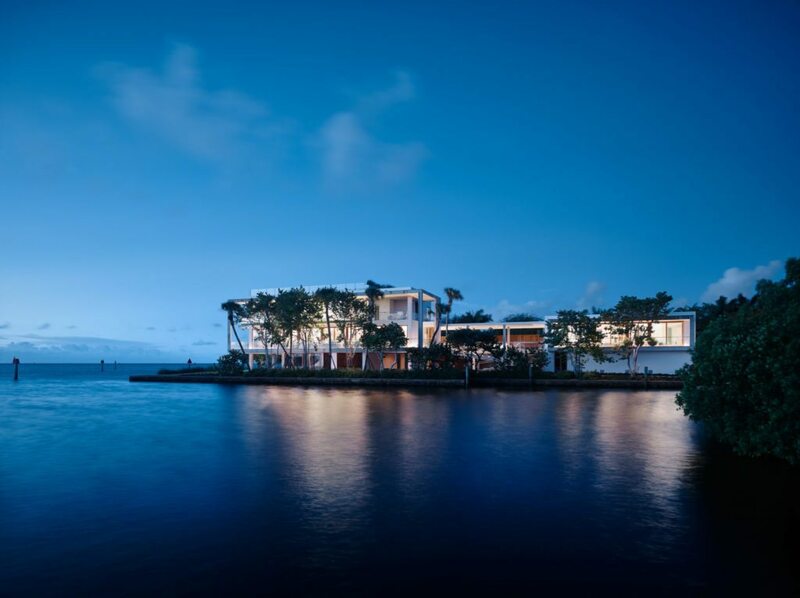 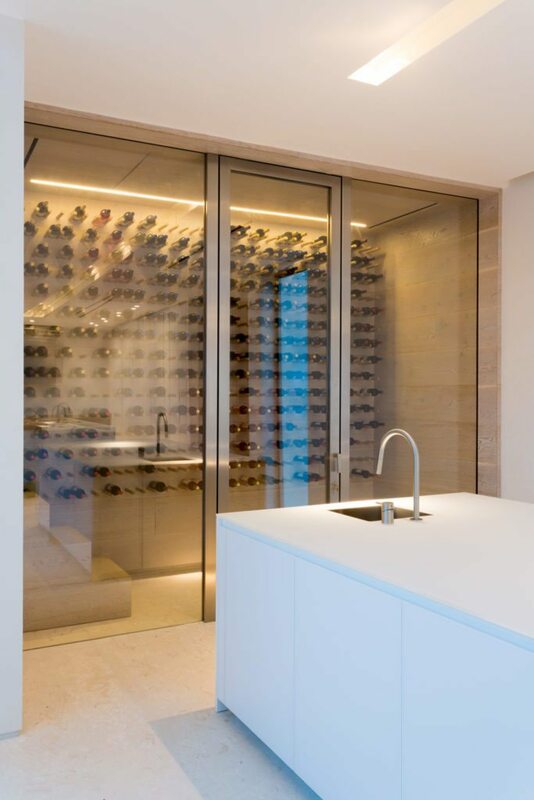 The home is listed at $50 million by Pablo Alfaro with Douglas Elliman.